The big little players in the Smart Speaker wars. My brother Randy gave us both a Google Home Mini and an Alexa Echo Dot for Christmas. They are now set up in our home, and we love them both, but for different reasons. In building this honest review page, we did extensive research into these two devices, and share below every pertinent fact we could cull off the Internet, just for you. 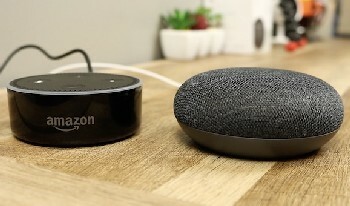 However, since we have hands-on experience with setting these devices up and using them, you can learn from our mistakes and make an informed decision about which Smart Speaker to buy. We will start with the Mini, because we set that one up first. Seems better at telling jokes and making clever comebacks... just funnier. Watch our short video showing the Home Mini in action in our home. Complete control over Fire-device-enabled TVs; no more remote! Slightly better at organization of Smart Home hub and integration of household devices. Heavily linked to Amazon programs and services (a PRO if you are an Amazonophile). It took 2 hours of trial and error before we could get it to pair up with our Wi-fi. Hard to set up preferred news and weather sources. Audiobooks- had to call support to set this up with my Prime Account and link it to Alexa. 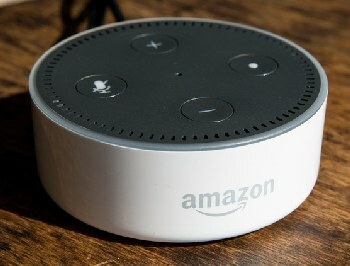 Several apps would not work with Alexa unless we upgraded to premium versions, at a fee. Speakers were crappy; we could not even hear across the room. Problem was easily solved by hooking up to computer speakers, however. 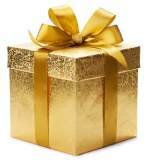 Heavily linked to Amazon programs and services (a CON if you have resisted Prime membership). Alexa's artificial intelligence and database not on par with Google. Alexa doesn't sound quite as natural; isn't as funny as Google VA.
And here's the Echo Dot performing in our master bedroom. You might just have a feel by now of which of these two "mini" Smart Speakers we like better. 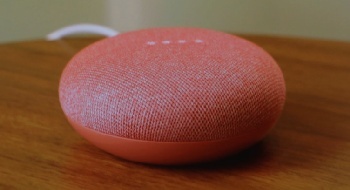 You would be correct if you guessed the Google Home Mini. The Mini and Dot are more alike than different. 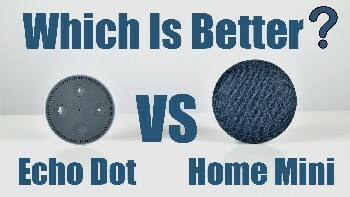 The similarities included: same price; similar size and physical specs; both capable of answering questions, streaming music and news, and directing household devices in a Smart Home. The Mini's speakers were much better than Dot's; but Dot had a speaker/headphone port, which Mini does not. The Mini was much easier to set up, for us. Google's Virtual Assistant was superior to Dot's. Dot had the edge in Skills and home hub capabilities. No matter which way you go with this, we think you'll be happy. Smart Speakers are an extraordinary and fascinating addition to any home. And it will only get better and better, the smarter they get. Still can't decide? Then do like we did and get one of each. Then put each one to work doing what it does best. How did we split the chores between ours? 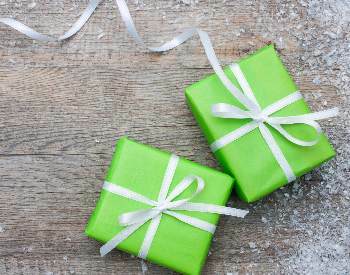 Click here to find out: Smart Home Ideas. In case you missed it, read all about Household Robots. Create the home of the future today with our Smart Home Ideas guide. The Alexa Echo & Google Home in depth. Which Smart Household devices work well with Alexa Echo and Google Home?